Skim the above headline and for a moment you might think there is a typo or that the wording is incorrect. Think on it a little harder, however, and you’ll recognize the distinction. It’s an especially important distinction if you are a couple coping with infertility now beginning to explore your options concerning adoption. First you must ask yourself, how important is giving birth to you? Adoption can be an answer to infertility issues, and has been for countless couples, but first you must look into your heart and understand your wants and needs. If giving birth is of the utmost importance to you, understand that adoption offers a different experience. Adoption can make you a parent, but if your desire is literally to “have a baby,” i.e. give birth, adoption cannot fulfill that desire. But maybe you want to share your life with a child and want to teach them to grow into a good person, regardless of how that child comes into your life. For countless couples, adoption can fulfill the desire to be a parent even if infertility is standing in the way. Indeed, for couples dealing with infertility, this is the primary reason they begin to explore adoption options. If these are feelings that motivate you to pursue adoption, you just might be thinking like a parent – and needless to say, that is a good thing. There are some who like the idea of having a baby – the photos, the smiles, and the cuteness can all be very appealing – but who are not motivated by much more than that, or who feel that giving birth is an essential part of being a parent. Becoming a parent is about more than playing the part so others can see or giving birth, though. It’s about giving up a part of your life for another; about sharing a piece of yourself and offering your love and devotion to another. It’s the most wonderful kind of sacrifice, but it’s a sacrifice all the same. Your life will change forever, most of all because you’ll have given yourself a lifetime of responsibility for another person. Others, though, are driven by a desire to be parents. If infertility presents itself as an obstacle, they are willing to find another way. This is a healthy desire that can be fulfilled by adoption, even if you can’t have a baby. It’s a desire motivated by love, a want to share yourself, and an inner need to build a family. For such people, adoption is an ideal answer to infertility, and one that can make you a parent in every way a birth parent is. Remember, your motivation for adopting is important because the decision affects more than just you and your spouse. It affects the life of a child who is in need of someone who wants to be a good parent. 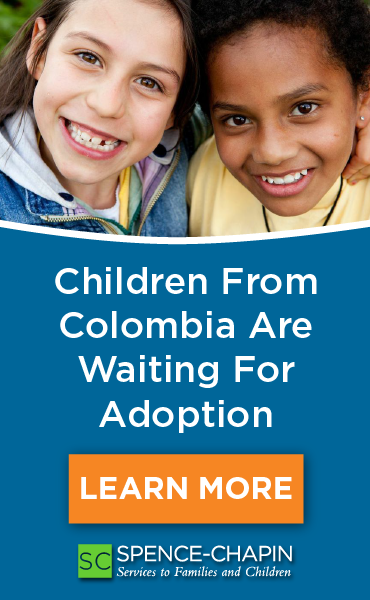 Because if your one true desire is to be a parent, adoption might be right for you.